We’ve all been enjoying the heatwave, but sooner than we think autumn will be upon us and we’ll be settling in front of the fire with a warm mug of hot chocolate. As the bright shades of summer turn to deep autumn tones, it’s time to swap patterned cushions for warm knitted blankets and throws, and add an array of berry-scented candles. 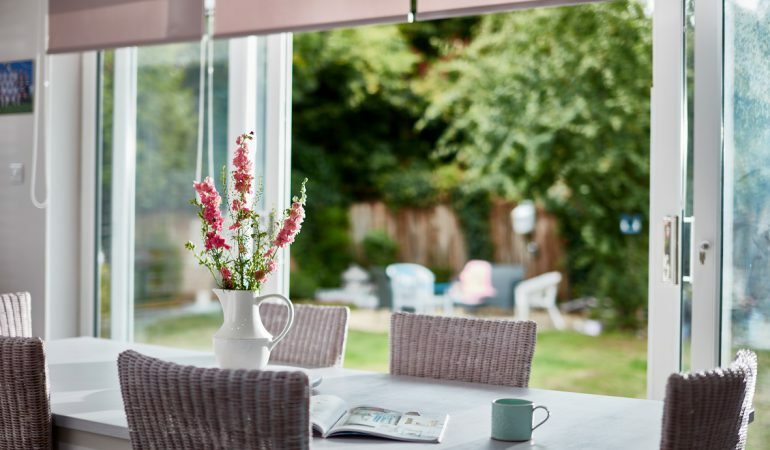 The changing of the seasons is also a chance to trade those worn-down blinds for stylish drapes or to take up that tired carpet and replace it with shiny new flooring. 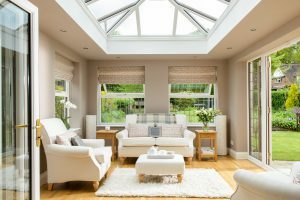 Autumn really is the perfect season to dedicate time to the home improvement projects you’ve been planning but haven’t had the chance to get round to throughout the busy summer months. With that in mind, we’ve rounded up our tips on incorporating top autumn home trends for homeowners looking to spruce up their home for the new season ahead. Incorporating sustainably-sourced eco-materials into your home is a great way to modernise with a conscience. The good news is that many eco-friendly materials are not only on-trend, but they give you the opportunity to introduce interesting textures and colours into a scheme. Take cork for example; this flexible material is not only resilient, but will stand up to the rigours of family life too. It is also a good insulator, and will add natural and earthy tones to any room design. Cast aside your preconceptions of seventies design! Whether used for flooring, to line walls or ceilings, or to board alcoves, cork will look understated and chic, and help you to make that all important feature statement as part of your cool, modern interior scheme. If you love the idea of living a more sustainable life and reducing your carbon footprint, don’t forget to look beyond interior design. 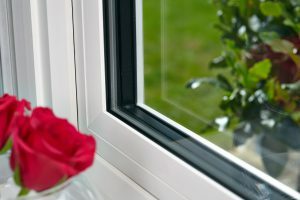 Installing energy-efficient windows will not only transform the look of your property and dial up the kerb appeal, but it is also a sure-fire way to minimise energy consumption and keep your home warmer, quieter and safer. Soon the days will be getting longer and nights will be getting darker, so it’s time to brighten up your home with a fresh touch of colour – look no further than the standout colour, yellow. Fast becoming the colour of the season – from bright yellow to a deeper mustard, to an eye-catching gold – there are a variety of yellow shades which can be incorporated into your home interiors. The thought of introducing yellow into your home can seem daunting, but there’s no need to be afraid! Simple accessories such as cushions, vases or pictures, carefully positioned and showcasing a variety of shades from the stunning yellow colour palette, can add that pop of colour subtly, but effectively. For those more daring and who enjoy experimenting with colour, a bright yellow front door can really make your house stand out on your street, while incorporating a bold piece of furniture into the design of a room – such as a yellow sofa or armchair – can really bring your living space to life! The enduring popularity of television programmes such as Location, Location, Location, Grand Designs and The Restoration Man, has fuelled our interior design ambitions and has had us all thinking about knocking down walls, reconfiguring our space and opening up our homes. 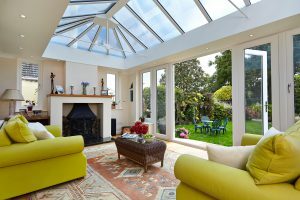 If, like many other homeowners, you aren’t in a position to knock down a wall but want to create a space which feels open and airy, a few simple changes can make all the difference to the composition of a room. Often the layout of furniture can make a room appear smaller and enclosed; rearranging the position of furniture can create a clear and open pathway through the room, giving the illusion the space is bigger than it actually is. Good lighting is key too. Make the most of the natural light you’ve got by clearing the window sill, pulling back the curtains and letting light flood into the room. Reflective surfaces and well-positioned mirrors to help reflect the natural light around the room can also be a simple but effective trick. What are your top trends for autumn? Let us know in the comments below!